No, not the chunky animal. The district. ?!?!?! The visual color around every street corner is absolutely breathtaking. And luckily for me, I’m living in the city at one of the best times of the year. 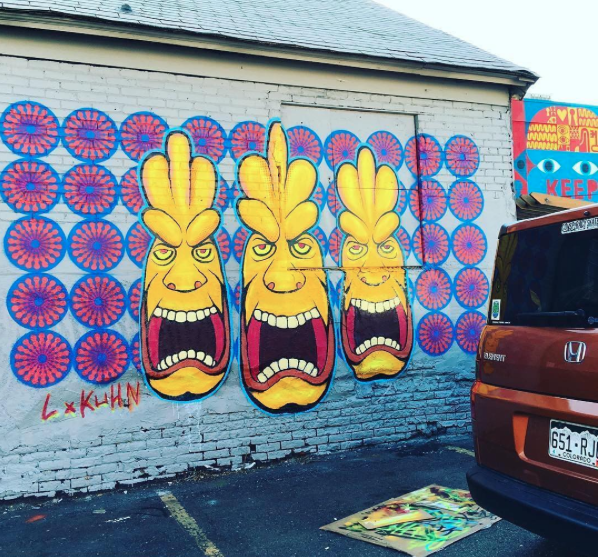 Fall football season, Oktoberfest, and recently Denver’s largest independent street art event, The RiNo Crush Festival. 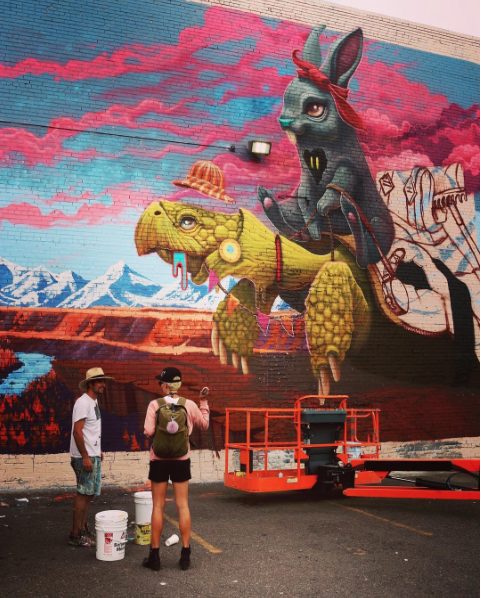 Last weekend, RiNo held it’s 7th annual Crush Festival featuring over 70 local and national artists coming together to paint. 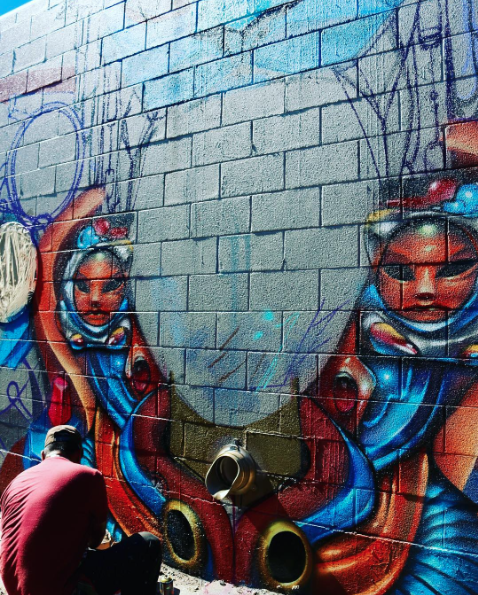 But this isn’t some sort of finger painting party, world renowned artists are taking to the streets to transform the walls and alleys of RiNo into a vibrant outdoor gallery. 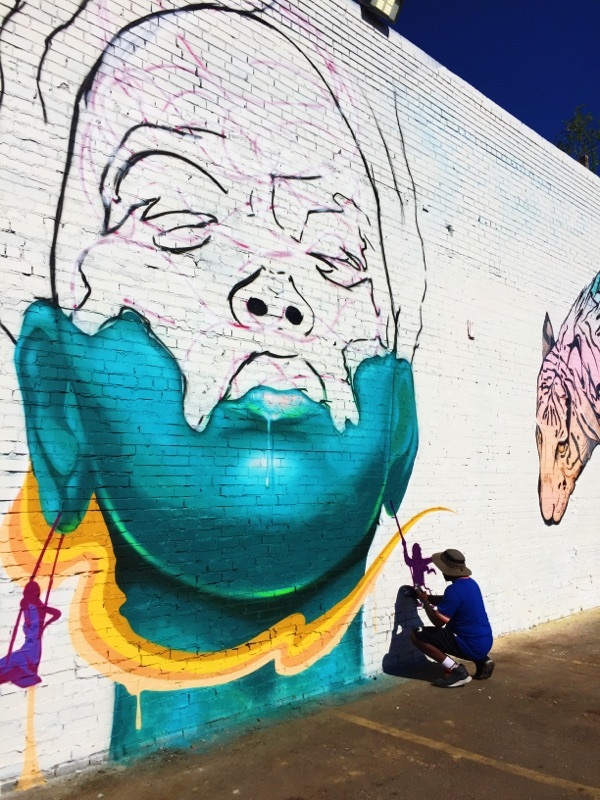 Artists have included local talent Anthony Garcia Sr., Brian Scott Hampton and Mike Graves, as well as national artists Vyal One and international names like Dave Shillinglaw and MPek. Each year, the district gets a fresh coat of paint and becomes a blank canvas again for new eye catching creations. Speaking with a few of the artists at work, it’s crazy how the festival has blown up in popularity after just a a few short years. Artists apply to get wall space and the event serves as a pretty awesome way to network with other crafty professionals. 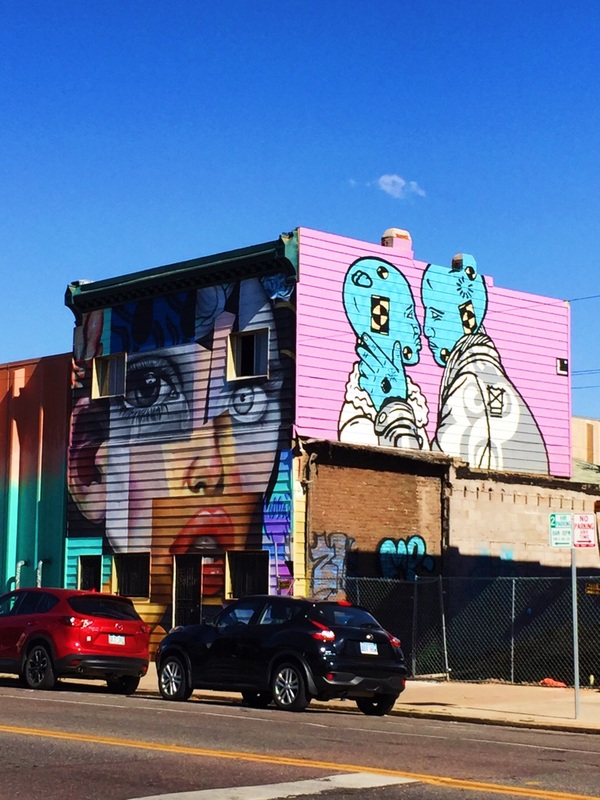 Whether it’s on the side of restaurants, businesses, or apartment buildings, artists continue to transform the streets of RiNo into open-air galleries allowing the neighborhood to attract positive attention. It’s been one of the leading catalysts for the gentrification of the neighborhood. A straight game changer. The Crush is on a mission to celebrate art, urban beautification, creativity, and culture by enriching the community through an arts festival like no other. 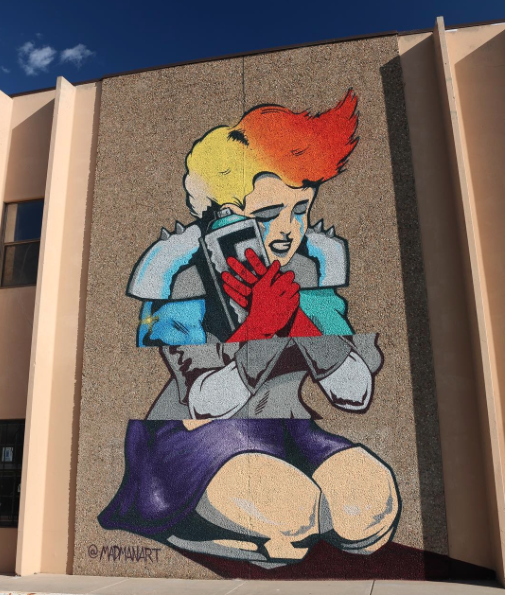 Centered around empowering artists’ creativity, the Crush is committed to reflecting and diversifying the urban landscape and the unique voice of the community. That’s one hell of a mission statement if you ask me. Just trying to keep the world pretty. Right on, RiNo. The festival also serves to highlight local eateries and shops, many of which had open door events with live DJs and walk-in samplings. Free food, day time jams, and walk in boutiques? What else do you even need in the world. Or don’t. I guess it’s your call. Tortoise and the Hare. On crack. 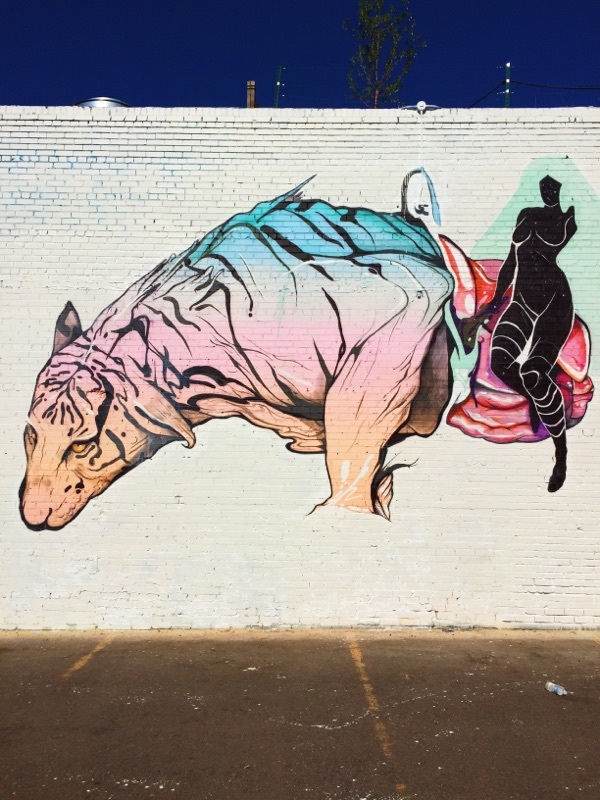 Posted in Compass and tagged art, Colorado, Crush Festival, Denver, graffiti, murals, RiNo, River North District, spray paint, street art, Travel. Bookmark the permalink. This post is awesome. 🙂 Those are beautiful pieces of art. What a magnificent expression of creativity. Marvellous post. You’re right that this is a great find! Thanks for checking out the artwork in the post at my site too! Alexis. 21. University of Virginia. Major in Business, minor in napping. Fashion, lifestyle, art, and exploration, my way. Over a decade of 日本語 and all we got from it was トラベラーズチェック. Cheers to 20 years with these crazy people... and to our beautiful bride, Michelle!! !